When a lot of people think of the word “cool,” they may think it’s an inconsequential word, hardly stirring enough to discuss in a marketing blog. When I think of cool, I think how relevant the word is to almost every consumer product that isn’t a household good or tool. If the cool factor of a product doesn’t matter, then why would fashion exist at all? People not only like to look good, they like to feel good. They like to feel cool. Cool sells. Most of the time, a product being “cool” isn’t enough to make it a worthwhile purchase, but it is a deciding factor. If I can choose between dorky looking but effective sunglasses or perfectly designed, cool sunglasses that do the same thing, I will never buy any pair of sunglasses without “the cool factor.” To take advantage of the “cool factor” of your product, you need to find the right way to market it through videos that make it feel like a must-have item. Certain brands have spent millions of dollars and many years developing their image into one synonymous with cool, like Ferrari, or Oakley, or even Apple. Through the years, most PCs were marketed like IBM, which even has a boring name. International Business Machines doesn’t sound like something cool. It sounds about as exciting as a lint roller. Apple sold an entire line of computers based mainly on looks: the iMac line with colorful options available to consumers. The computers themselves were arguably inferior machines to almost anything else available at the time and were decidedly more of a “budget” option for consumers, but instead of appealing just on price, they were able to compete based on a certain cool factor that your regular PC simply didn’t have. Suddenly, iMacs were springing up in hair salons and small businesses everywhere, becoming part of the decor of the lobby. When people think of Ferrari, they probably think of words and phrases like fast cars, beautifully designed, expensive, etc. A Ferrari doesn’t in essence “do” much more than, say, a Honda Civic in that they both are designed to transport people from one place to another, both are subject to the same rules of the road, and both are the same type of product. 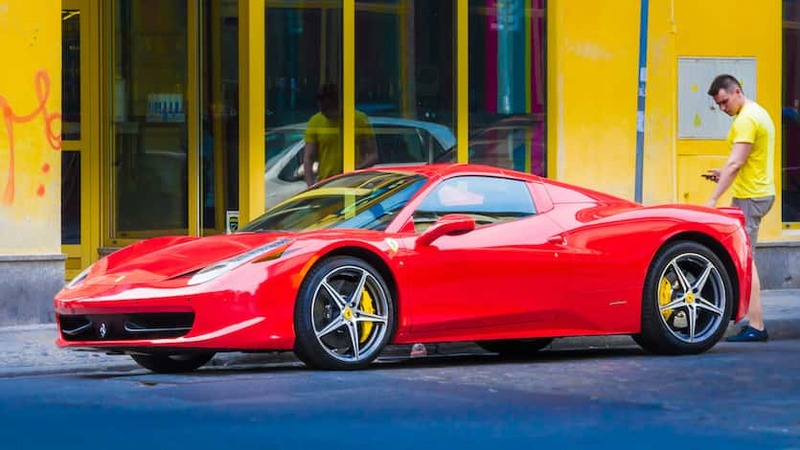 Even on a pure speed basis, you can find less expensive cars that are either just as fast or nearly as fast, but Ferrari has created value because of their image as one of the coolest cars on the road. Part of the image is based on exclusivity, but exclusivity is not necessary for “coolness,” as Apple has shown with the iPhone. How can you harness the power of cool for your brand? Admittedly, not every brand lends itself to such a strategy, but many do. The key with video marketing to creating a “cool factor” is finding a way to make your product seem like a must-have item even if the consumer already has something comparable. You are creating a need, where there was previously just a vague desire. Sure, I have many pairs of sunglasses, but if Oakley releases a killer new pair that looks perfect, I still may feel I “need” them even though I have others that will do the job just fine. High production values, a clever concept, and true creative direction are needed to create the type of video that will harness the power of cool. The biggest danger in trying to make a “cool video” is the inherent chance of failure combined with creating something that is just trying too hard. The right video should be more effortless, harnessing the natural cool factor of the product itself and showing it in its best light. You aren’t trying to tell people your product is cool; you’re trying to show cool people using it the way you intended. Your product becomes “cool” by association, not by facts alone. Of course, you still want to emphasize features, but in natural ways that don’t seem too forced or contrived. The key is a great concept combined with polished execution, avoiding any cheesiness.